Artillery shells land on both sides of the Northern Limit Line as tensions reach a boiling point. After a North Korean military drill sent artillery shells across its disputed western maritime border with the South, Seoul responded by scrambling fighter jets and returning fire into the Yellow Sea. 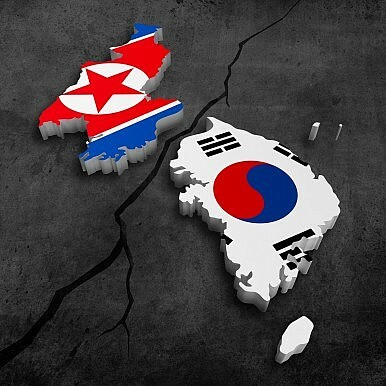 South Korea’s Yonhap News Agency said that the North fired approximately 500 shells into the water near the Northern Limit Line (NLL) between noon and 3:30 p.m. on Monday. After an estimated 100 rounds landed on the south side of the NLL, the South Korean military responded with 300 shells fired from its K-9 self-propelled howitzers. F-15 fighter jets were also sent to patrol the southern side of the border. Pyongyang warned Seoul of its intention to perform the live-fire drills near the NLL by fax. All of the rounds landed in the sea and no injuries or casualties have been reported. The barrage led to the evacuation of Baengnyeong and Yeonpyeong islands, each located less than 20 kilometers south of North Korean artillery batteries. In 2010, two South Korean marines and two civilians on Yeonpyeong were killed in a similar, albeit unannounced, shelling by the North. The NLL was established at the end of the 1950-53 Korean War and is not formally recognized by the North. The two countries technically remain at war because the conflict ended in a truce, not a treaty. “It’s up to the two militaries either to recognize or reject their own claimed line, and challenge the other’s – this goes back and forth, so this is probably another episode of that,” Daniel Pinkston, a project director at the International Crisis Group, told Reuters. Springtime military exercises between South Korea and the U.S. are a source of ire in the North. The current drill, known as Foal Eagle, will continue until April 18. Just yesterday, North Korea threatened to use a “new form” of nuclear test. It remains unclear what the statement, made public by the North’s state-run Korean Central News Agency, entails. According to The New York Times, experts in Washington suspect that Pyongyang may be trying to design small warheads than can be carried by ICBMs that its military is currently developing. Last week, North Korea drew international condemnation after test firing two mid-range ballistic missiles. The Rudong-class missiles flew 650 kilometers in the direction of Japan before falling into the Sea of Japan – the Hermit Kingdom’s longest-range attempt since 2012.